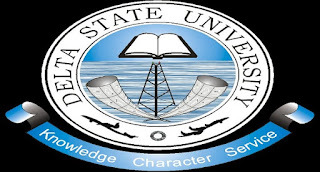 Delta State University (DELSU) Regular Diploma Programmes Admission Form, Courses, Admission Requirements, Online Application Guidelines for 2018/2019 Academic Session. 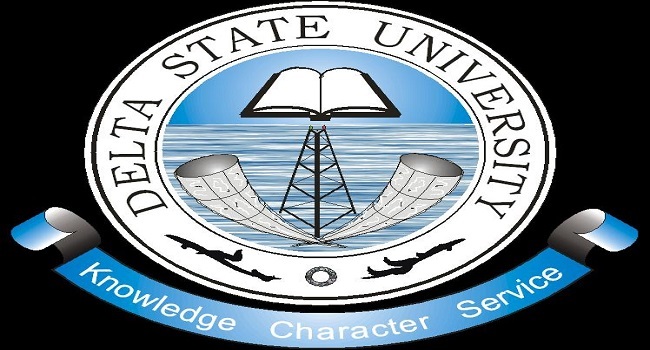 Applications are invited from suitably qualified candidates into the Delta State University (DELSU), Abraka Regular Diploma programmes of the Institute of Education for the 2018/2019 academic session. The Diploma course will be for two sessions. Applicants must possess at least four credits at not more than two sittings in the GCE O/L or NECO, SSC or WASC, NABTEB or its equivalent. Candidates are also expected to fulfil the specific Departmental Requirements for their various courses of choice. A minimum of four credits in the GCE O/L or NECO, SSC or WASC, NABTEB including English Language, Mathematics, Economics and one other subject at not more than two sittings. Associateship Certificate in Education/Accounting/Business Administration/Marketing/Secretarial Studies awarded by an approved Institution of Higher Learning. A minimum of four credits in the GCE O/L or NECO SSC or WASC including English Language, Mathematics, Biology and any of Food and Nutrition or Home Management, and Chemistry at not more than two sittings. TC II with at least Merit passes in four subjects as required in (a) above and credit passes in Mathematics and General Science. A minimum of four credits in the GCE O/L or NECO SSC or WASC including English Language and Mathematics, at not more than two sittings. A minimum of four Merits in TC II, including English Language and Mathematics. A minimum of four Merits in TC II including English Language and Mathematics. A minimum of four O’ Level credits in GCE or NECO SSC or WASC including English Language, Mathematics, Biology and Chemistry, at not more than two sittings. A minimum of four Merits in TC II in the relevant Science subjects, English Language and Mathematics as indicated in (a) above. A minimum of four credits in the GCE O/L or NECO SSC or WASC including English Language, Mathematics and Biology or Health Science, at not more than two sittings. A minimum of four Merits in TC II, including English Language, Mathematics, Physical Education and any other subject. A minimum of four credits in the GCE O/L or NECO SSC or WASC including English Language, Mathematics, Economics or Commerce and one other subject, at not more than two sittings. Associateship Certificate in Education/Accounting/Business Administration/Secretarial Studies awarded by an approved Institution of Higher Learning. A minimum of four credits in the GCE O/L or NECO SSC or WASC or equivalent which must include Mathematics, Chemistry or Physics and English Language, at not more than two sittings. A minimum of four credits in the GCE O/L or NECO SSC or WASC or equivalent, including Mathematics, Biology and English Language, at not more than two sittings. A minimum of four credits in the GCE O/L or NECO SSC or WASC or equivalent, including Mathematics and Chemistry, with a credit in English Language, at not more than two sittings. A minimum of four credits in the GCE O/L or NECO SSC or WASC or equivalent, including English Language, Mathematics and Physics, and any other subject, at not more than two sittings. A minimum of four credits in the GCE O/L or NECO SSC or WASC including English Language, Mathematics and one Science subject from Biology/Health Science, Agricultural Science, Chemistry and Physics and one other subject, at not more than two sittings. A minimum of four credits in the GCE O/L or NECO SSC or WASC or equivalent including English Language and Mathematics, Physics and Chemistry at not more than two sittings. A minimum of four Merits in TC II, including English Language and Mathematics and any other two Science subjects. A minimum of four credits in the GCE O/L or NECO SSC or WASC, including English Language and Mathematics at not more than two sittings. Visit the specified bank for payment. 2(a) Candidates should, with the pin for payment, access and complete the Delta State University, Abraka 2017/2018 Diploma form online at hhp/www.delsuonline.com with their recent colour passport-sized photograph scanned to the JPEG format and not more than 20kb in size. (b) Candidates are advised to use virtual pin immediately after payment, as the pin will be invalid after six (6) hours of generation. Online application will start on Monday, August 6, 2018. Application website closes by 12.00 midnight on Monday, November, 12, 2018.